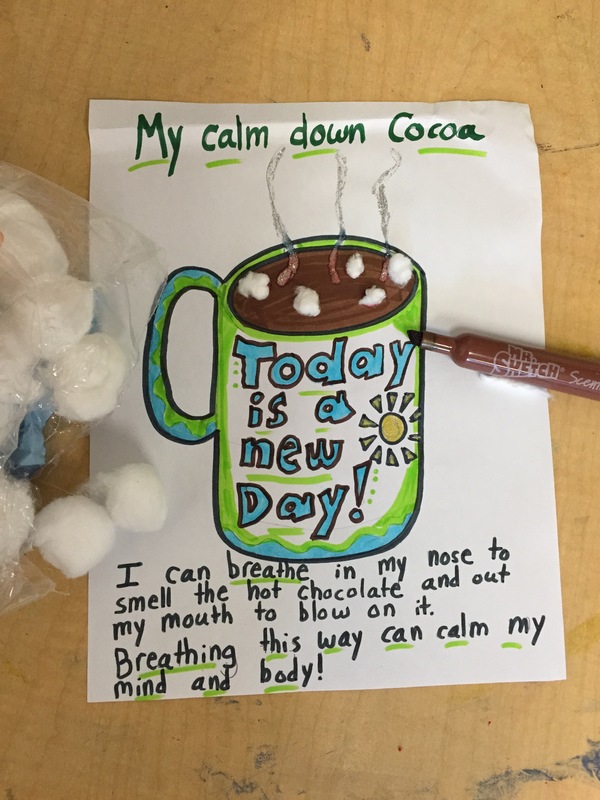 You may have already heard of the technique to help children learn deep breathing by allowing them to imagine smelling hot cocoa then blowing on it to cool it off. I have used this technique with children of all ages and find it particularly helpful for children who need the more tangible image to remind them of the skill. Love it!! I”m definitely going to be doing a lot of “hot cocoa” breathing with my clients!